Experience this fabulous package offering a cruise and lunch combination at Cape Town’s top destination – The Waterfront. 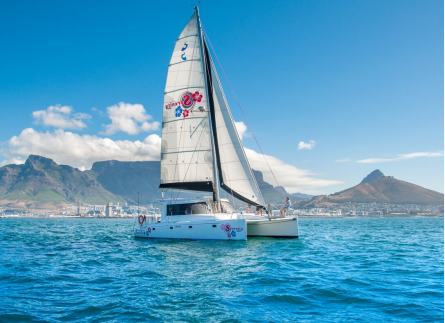 First you will enjoy a cruise of Table Bay with a unique view of Table Mountain and Cape Town’s skyline, by sea. Then, once you have recovered from “sea-legs” you will enjoy a sumptuous lunch at one of the Waterfront’s finest restaurants. Our specially chosen establishments offer exceptional food and atmosphere while enjoying the ambiance of the V&A Waterfront. Availability: Available throughout the year. Summer months are best. Who: Ideal for couples, friends, clients or co-workers. Numbers: This experience is for 2. The cruise forms part of a group charter. Weather: Cruises are weather dependent. What to take: Dress smart casual and take something warm to wear for when out at sea. Duration: The cruise lasts for 60 minutes, followed by lunch at your leisure. Part of a sailing experience is to experience the elements. It may become windy and chilly when out at sea, the sea can become choppy and you could get slightly wet from sea spray as the vessel ploughs through the water. Please note that your safety is paramount and will never be compromised. Dress for the weather, wear flat shoes and take an appetite for adventure. Participation is at your own risk. PLEASE NOTE: Drinks & 10% Gratuity on food/drinks to be settled at restaurant. This experience includes a service fee and e-voucher. Different vessels are used dependent on numbers and weather conditions. This package will differ in price and detail for dates such as Mother’s Day and/or Valentine’s Day. Please contact us directly for a quote should you wish to book this type of package for either of these dates. Thank you for planning such an awesome package. Everybody thoroughly enjoyed themselves. I just wanted to give you a bit of feedback about the Table Bay Cruise and Lunch voucher that I purchased from you. It was a gift for my father for his birthday and he went on the cruise yesterday. Him and his girlfriend had a wonderful time and they thoroughly enjoyed the trip. 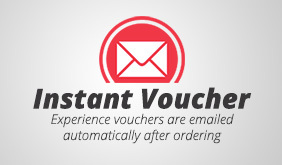 I just wanted to thank you for your excellent service regarding this voucher. I will definitely be purchasing from you in the future and will recommend your service far and wide. As the owner of my own small enterprise, I know how valuable customer feedback is and I hope you satisfy all your customers as you did me.